This new airport is a project every Turkish Citizen can be proud of, and it’s impressive, and unfortunately also deadly. Turkish President Recep Tayyip Erdogan has inaugurated a massive new airport project in Istanbul, which, once complete, is expected to become one of the world’s largest. 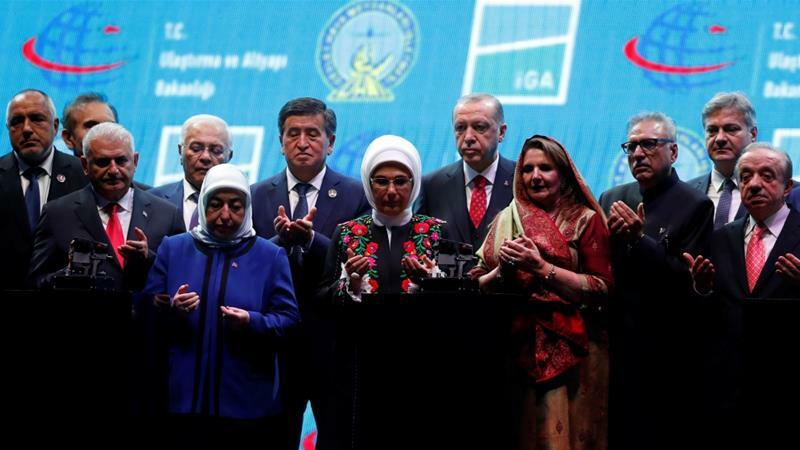 More than 50 foreign dignitaries from at least 18 countries on Monday attended the lavish opening ceremony of the first phase of the new facility, called Istanbul Airport, local media reported. Construction of the new Istanbul Airport in Turkey is already a deadly project with 27 workers killed in the process. Currently, it will be used for just a few flights within Turkey and to Azerbaijan and northern Cyprus – a setback for authorities hailing it as a centerpiece of the construction boom that has driven economic growth under Erdogan’s 15-year-old rule. Speaking at the opening ceremony, Erdogan said the hub would be called “Istanbul Airport”, and that it would further Turkey’s role in the integration of global economies. Erdogan said the new facility will continue to grow for the next decade until all phases are completed by 2028, according to state-run Anadolu Agency. Ataturk Airport in Istanbul will be closed to commercial flights once operations move the new airport but it will retain its airport status and be used for aviation fairs, Erdogan said, adding the unused land would be turned into a park. Istanbul is a major hub for transit flights, attracting lucrative transfer traffic this year from major airports in the Gulf as Turkey recovers from security worries, according to the travel data analysis company Forward Keys. Cuban-American tour operator under sonic weapons attack in Havana?